Lionide Johnston, 32, was from Owl River, Alta. He joined the RCMP about four years ago with his twin brother, Lee. Both were ace marksmen and received their Crown Pistols and Crown Rifles badges last year. Both liked to race motorcycles. In 1997, Johnston was in a motorcycle accident while racing at Calgary's Race City Motorsport Park, and spent a week in a coma. 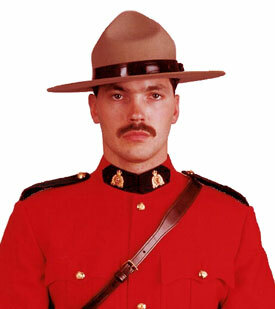 He recovered and later joined the force in 2001 at Lac La Biche, Alberta. He was posted to Mayerthorpe. He had a special connection with the Alexis First Nations Reserve near Mayerthorpe.